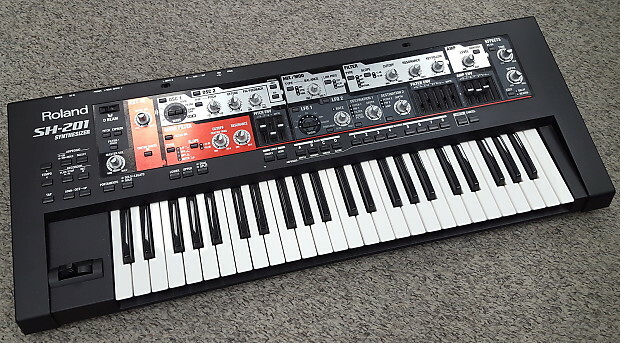 The Roland Sh-201 was Roland's revamping of their legendary SH series in the form of a 2000's analog modeling synthesizer. 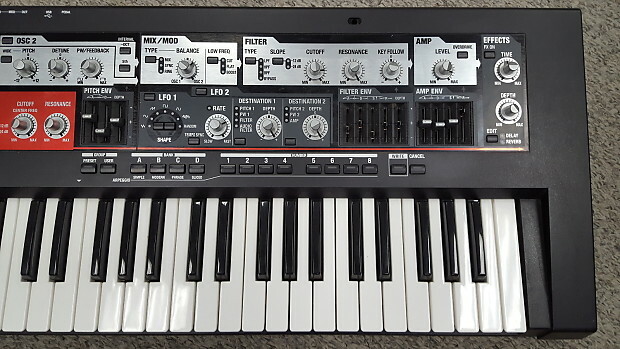 While it's controls and interface are analog style based on these older analog models, the 201 is a 10 voice polyphonic as opposed to it's monophonic predecessors. Like all in the SH line, you will find multiple modulation controllers, a resonant filter, envelopes and some additional features like on-board effects like reverb, delay and overdrive. 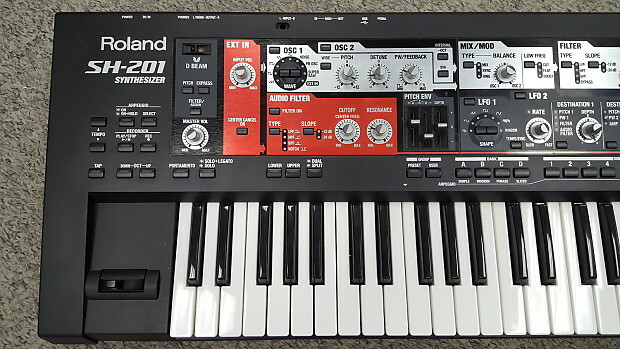 A large benefit of the SH-201 was its ability to connect via USB to your computer to be controlled and further programmed with a VSTI software editor.